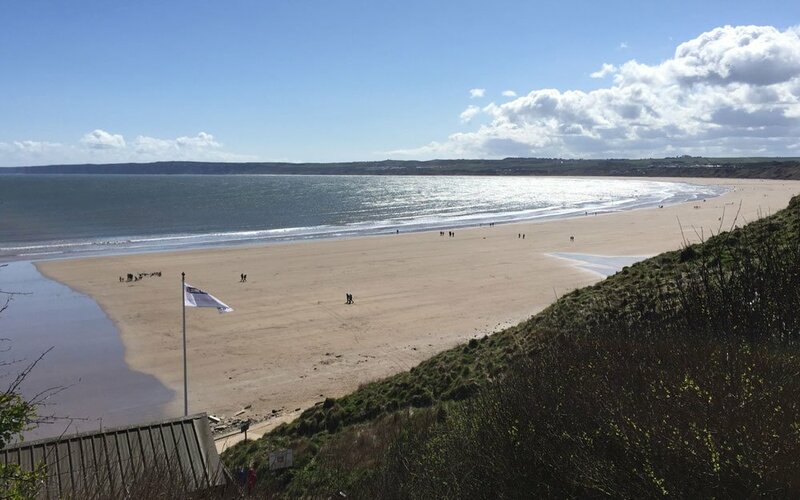 Hunmanby Gap is a sandy beach, just to the south of the picturesque Filey Bay, sat just between Reighton Sands and Primrose Valley Holiday Park. The waves here are not as clean as those at Filey, but can get big. On the right day you can get a good run up on flat spots, to boost off waves nearer the shoreline. Hunmanby will work on a NW all the way to ESE. It's best on N around to E.
Hunmanby Gap has a relatively small tidal range, and the water comes right up to the cliffs, leaving no space to launch or land. Leave at least 3 hours either side of high tide. Mid - low water is best as you'll often get nice flat spots of water, though they rarely last long. Hunmanby Gap is typical of most venues in the Scarborough to Bridlington area in that it rarely gets super clean waves. However, they do get big and can be fun on a directional board. Certain tide states often form small lagoons which can be fun for taking a run up for big jumps off the waves, or busting freestyle moves. In short, there's something for everyone! It can be difficult to gauge the wind strength from the cliff top carpark. It's often very different on the beach, and it's a pig of a walk back up if you have the wrong kite. If there's room outside the cafe, stop there and run down to the beach for a recce before heading up for your gear. If you're spending money at the cafe you might be able to park there, if not it's back up to the main carpark to park up and walk back down with your kit. Check out the map below for the location of the carpark.